I wish to join members of the artistic community and the nation in mourning the loss of Stephen Derek, one of our country’s better known Carnival band leaders and costume designers. Stephen passed away Friday afternoon. He was 64. I wish to extend my condolences to his friends and loved ones on behalf of my family and members of the UNC. Stephen was born in Woodbrook in 1952 and grew up in the neighbourhood where legendary bandleader George Bailey had his headquarters. In such an environment it was inevitable that the young Stephen would be attracted to the mas camp. Bailey mentored Stephen, whose work was strongly influenced by Bailey’s style. Stephen was just 18 when Bailey died in 1970. It was a major blow for the future mas man but an event that encouraged Stephen to work hard to be a creator in the tradition of his mentor. Stephen made his debut in 1978 as the designer and leader of his own band, D’ Midas Touch. He never looked back. Stephen’s work blossomed at home and abroad. In 1990 he designed a band called Exotic Dancers, which took the stage in Brooklyn and Boston Carnivals, winning Band of the Year in both cities. He also created costumes for the 1999 Miss Universe Pageant in Trinidad. 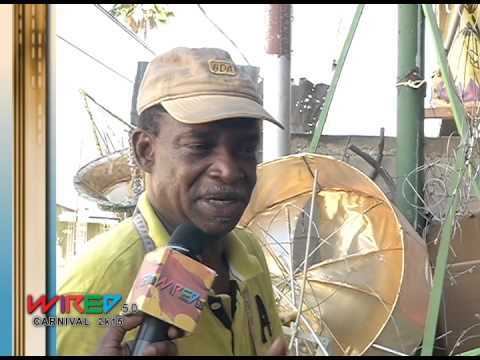 He was one of our country’s better-known cultural ambassadors, designing and leading bands wherever there was a Carnival. His artistic talent kept the Trinidad and Tobago flag flying all over the world but he never lost touch with home. Our nation – and in particular the artistic community – has lost a talented son and we pray that his soul will find eternal peace and that his family will find solace in the knowledge that Stephen will continue to live in the hearts of all of us who loved his art. Padarath: 8,000 job cuts in OJT, more Cazabon purchases?